depending on the performer. See our concert schedule for an idea of the range of musical acts and venues. We choose performers mostly because we (the members of the committee) have heard them perform and liked them. 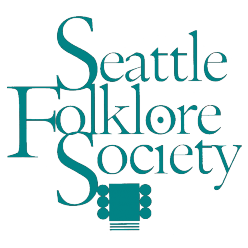 We do accept applications from artists who wish to perform in Seattle. Be warned, however, that the process is uncertain and can take a long time. Almost all of the concerts that we do are for people with whom we are already familiar. Yet every once in awhile we do wind up getting intrigued by someone who sent us a CD out of the blue. To apply to us for a concert, send us a press kit including a sample of your music, and a cover letter. We’d like to know when you plan to be in the area, whether you’ve played Seattle before (when? what venue? ), and your financial requirements. We need four months (or more) lead time to consider your application, and if accepted, to prepare publicity for the concert. We are all volunteers and we receive many requests, so our selection process can take a long time. If you wish, you may send us email.